Runners run, right? But what about strength training? 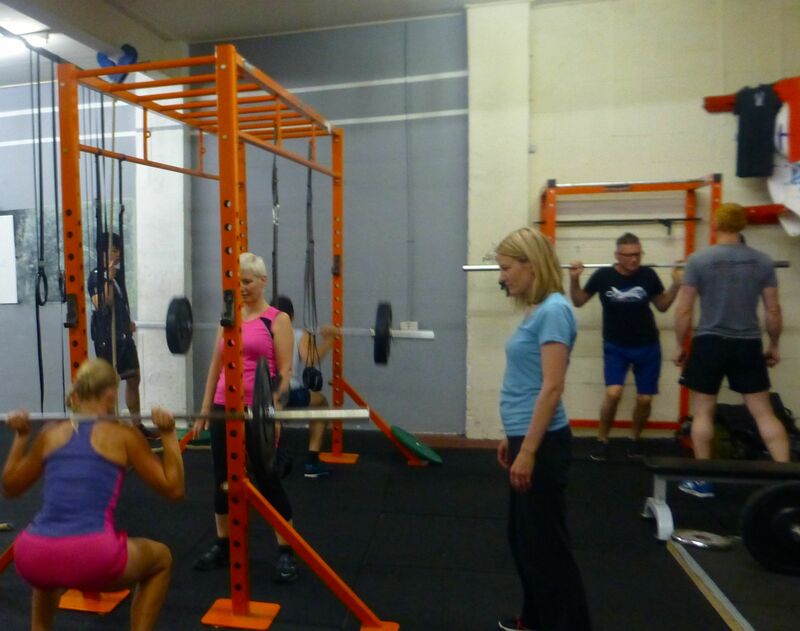 I have come to realise through my own experiences with strength training and research into how the top runners train that it is an integral part of a runners training plan if they are to succeed. I dabbled in crossfit last year for a few months from July to October when I was training for Kalahari Augrabies Extreme Marathon (KAEM), and was going twice a week to Crossfit Edinburgh in conjunction with my running training plan and a session of Bikram yoga (also great for strength and flexibility). I did really well at KAEM as my first ever multi day self sufficient stage race (you carry your own food & kit so approx. starting with 8.5kg without water on my back) coming 2nd lady and 16th overall so I must have done something right in the lead up. On my return from KAEM I took some time to recover and then we moved house, then it was Christmas…..excuses, excuses and I didn’t make it back to crossfit before Marathon Des Sables(MdS) in April. The reason I chose not to go back was firstly I felt that crossfit had hindered my ability to train effectively on my training runs as I was suffering a lot from DOMS (delayed onset muscle soreness) purely due to being new to it and possibly not going regularly enough, and secondly money, I couldn’t afford to do both Bikram yoga AND crossfit so chose yoga as I felt it was the better of the two (I certainly was ending up with less DOMS after yoga). But then MdS came. And I struggled. The race is dubbed the toughest foot race in the world so it was bound to be tough, but something in me was lacking. With similar distances and the same self sufficient style as KAEM I personally felt I didn’t run well enough and to me it was all down to strength, okay the 48 degree temperatures and endless sand didn’t help, but it was strength that was really missing. My pack felt really heavy, yet it was lighter and smaller than KAEM and I could feel this in my back, shoulders and arms. My legs weren’t powerful enough to drive myself up those high sand dunes but I could see other runners doing this well. Watching them closely afterwards at camp, you could visibly see they had seriously defined leg muscles and looked strong overall. By comparison I didn’t. Of course I probably look fairly fit to most, but not when you start comparing yourself to those ahead of you, so there was plenty of work to be done. I’ve been back at crossfit for about 6 weeks now, and yes the DOMS are affecting me, but I am planning my training around them better. I know I will be sore 2 days after, so I don’t plan a heavy mileage day or a hill/speed session for that day, I try and plan that to be a rest day or an easy day at least so I am not feeling that I am letting my running plan down. I can already feel the strength when I run up hills in my legs and not only I notice, but others have commented that I am looking strong. I can see definition in my legs and arms that haven’t been there before which is great. With a couple of events coming up, 40mile Clyde Stride in September and the KAEM again in November the proof will be in the pudding as they say. 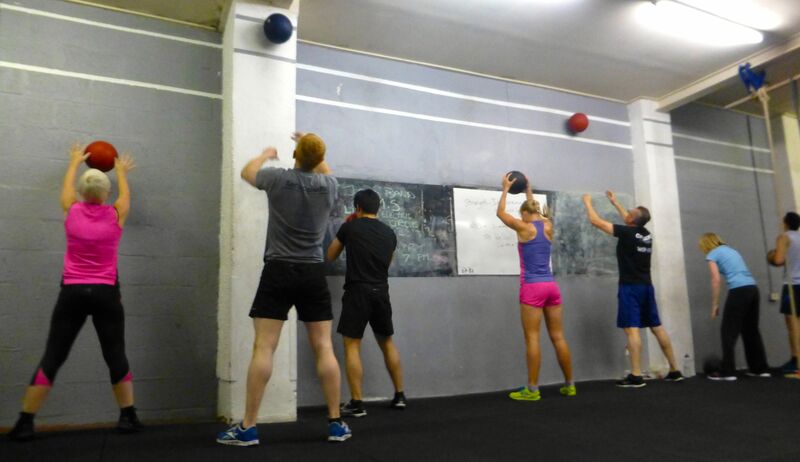 At first crossfit can look intimidating and you might think it is full of muscled up, competitive lifters but from my experience it is a very open and welcoming environment with a wide range of people with a range of goals and everyone gets the same support. I would recommend before signing up to a contact of any term that you check out your trainer, make sure they have the relevant qualifications and the training environment is a safe and encouraging one as incorrect form in this type of exercise can be very damaging so please ensure that you are being trained by someone that will look after you with this. 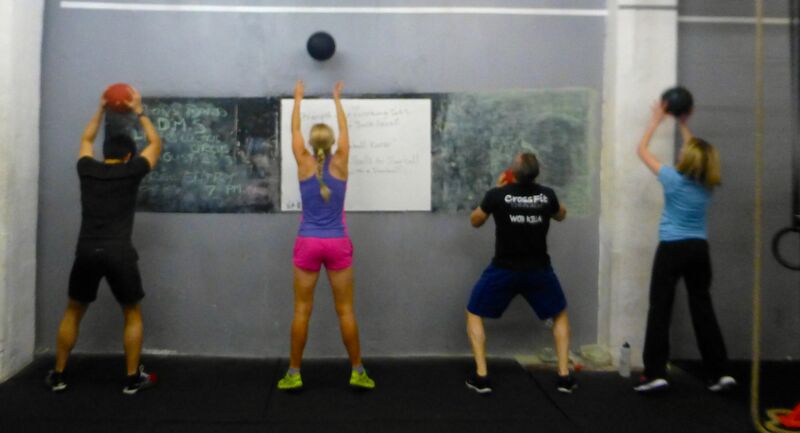 If you are in Edinburgh I can’t recommend James at Crossfit in Edinburgh highly enough, he is a great trainer and with a running background himself he is ideally suited for me as he understands the other element of my training and how it corresponds and affects my performance and ability in crossfit so he can take this into account.